We offer a custom colour matching service to bring a limitless world of colour to your business premises or home. With access to a virtual bank of shades and a wide range of fabrics, our plain colour print service allows you to create new ranges or co-ordinate with existing ones. 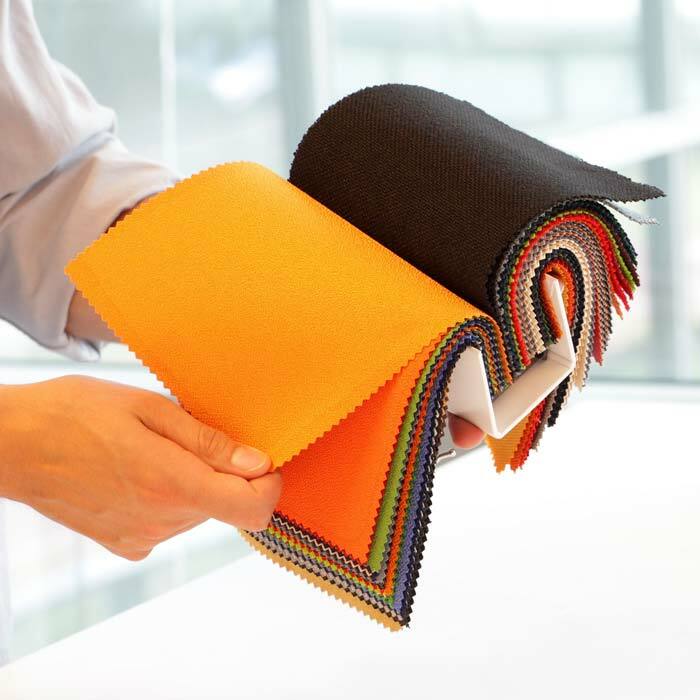 Simply submit your target shade (a physical sample or Pantone reference), select the fabric base you require and we will return a colour palette on your selected textile with the closest matched colours. All colours are matched in standardised daylight cabinets to ensure we get the best match under controlled lighting conditions. Once a proper match has been made, we will prepare your colour swatch and include close variants around the target shade to offer you more choice. Each colour variant comes printed with a unique reference number, so all you have to do is take your pick and order the required length from us. Our dedicated sales team is available to discuss pricing with you so enquire today. The cost of the samples will be deducted from the price of your overall fabric order so our service is a very cost effective way of achieving the colour of fabric you desire. Open your eyes to the limitless world of colour and Interior Design possibilities with Colour Matching from Citrus Rain. Interior design projects, where existing colour schemes are in place and plain fabric is required to augment existing furnishing. Plain roller blinds when corporate colours are required, often plain coloured blinds are used in conjunction with blinds printed with company logo’s.